Whether you’ve recently financed your Toyota RAV4 or you’ve been driving it around Calhoun for a few months already, it’s crucial to protect your investment with routine maintenance. Follow this Toyota RAV4 maintenance plan from the Service Center at Riverside Toyota! These maintenance tasks should be completed every 10,000 miles, unless otherwise noted. 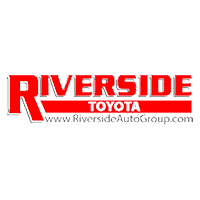 Schedule service with Riverside Toyota to keep up with your Toyota RAV4 maintenance plan! We can also assist you with the maintenance of other Toyotas you may have.